In the bottom of your slow cooker place chopped onions, pork belly and bay leaf. Note: Keep the fat on the pork belly. Mix together all BBQ sauce ingredients and pour over the pork belly. 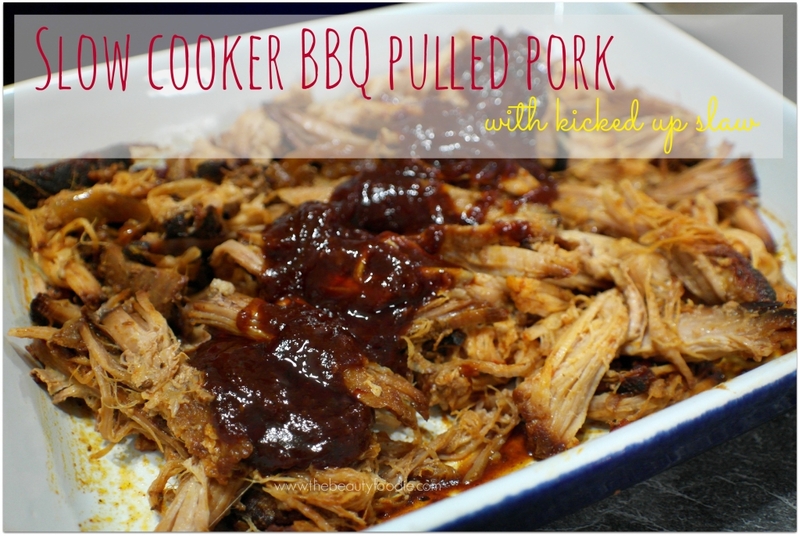 Cook the pork in your slow cooker, on low for 7-8 hours (or on high for five hours). Essentially the meat is ready when it is tender enough to pull apart with a fork. When your pork is cooked transfer it to a casserole dish. Leave the BBQ sauce in the slow cooker and crank the heat up to high: Leave the sauce to thicken for 10 mins (or thicken with cornflour/arrowroot). While the BBQ sauce is thickening up get cracking with shredding the pork. First, remove and discard the fat belly layer then pull the pork apart with two forks. When the BBQ sauced has thickened pour some over the pork. Transfer the rest of the sauce to a small bowl to serve on the side. In a large bowl place the coleslaw. In a smaller bowl make the dressing by combining all the other ingredients. 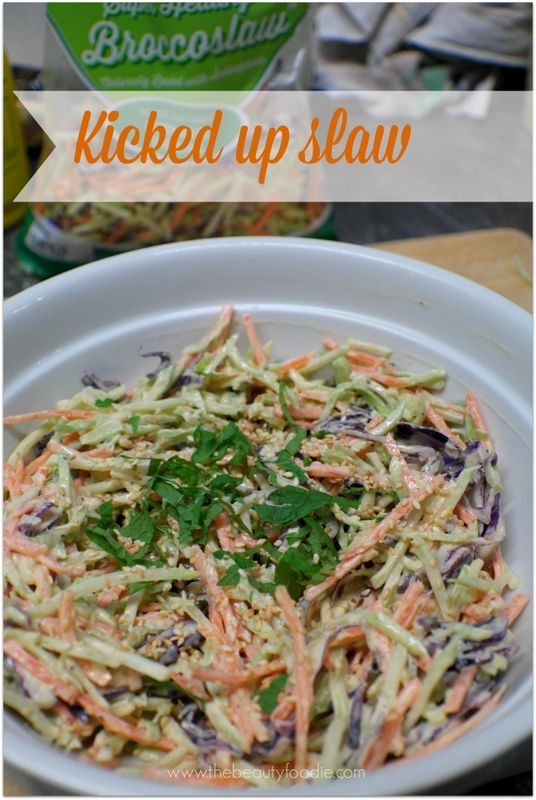 Toss dressing into the coleslaw. Done! 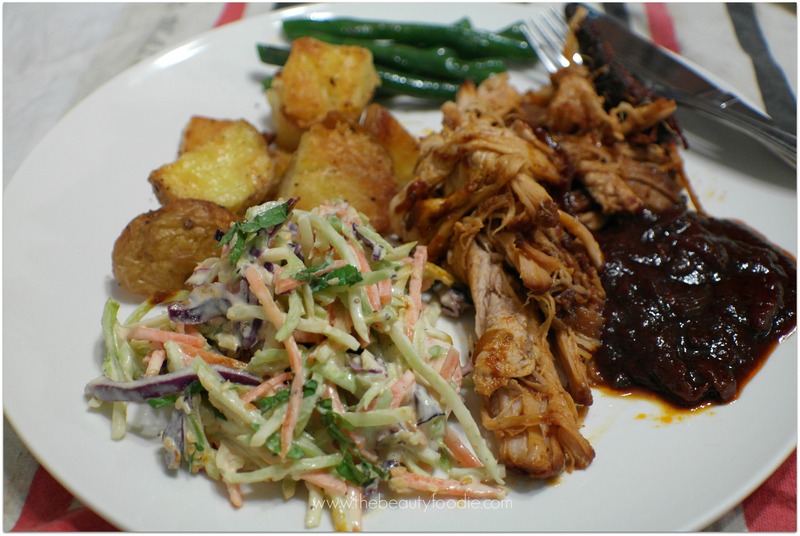 I served the pulled pork with roast potatoes when I took the photos, but we love it with cauliflower mash or old fashioned potato mash too.